Looking for a GPS receiver for moving earth, mining or construction? Here are important things to bear in mind. GPS receivers can either assist operators in making better decisions by providing precise position information (indicate-only mode) or the GPS receiver, as part of a guidance system, can take over the operation of the machine’s implement itself (fully-automatic mode) to follow a preloaded design. In fully-automatic mode, the RTK cm-level precision of the GPS guidance system is far more accurate and consistent than relying on the operator’s skill alone. 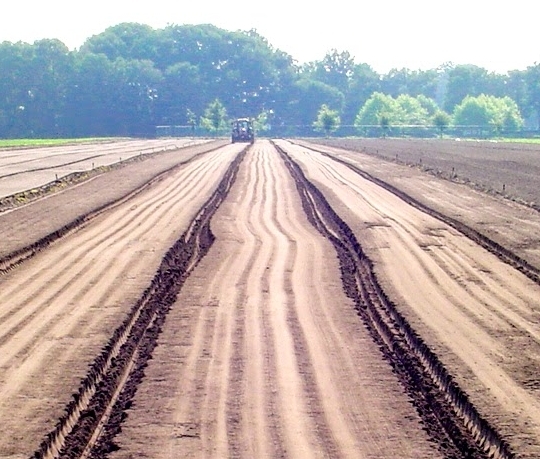 Trenches can be dug to exact depths, tractors can be steered in perfect rows, piling rigs know the precise location for planting piles and surfaces can be fine graded first time. Not having to carry out frequent measurements and surveys means that work can be completed faster, more cheaply and to a higher specification. Compared to a total station, a GPS RTK system can be up and running in a short time, and does not require any of the system elements to be in line of sight. A single reference base station can furnish all rover machines on-site continuously with RTK differential corrections. 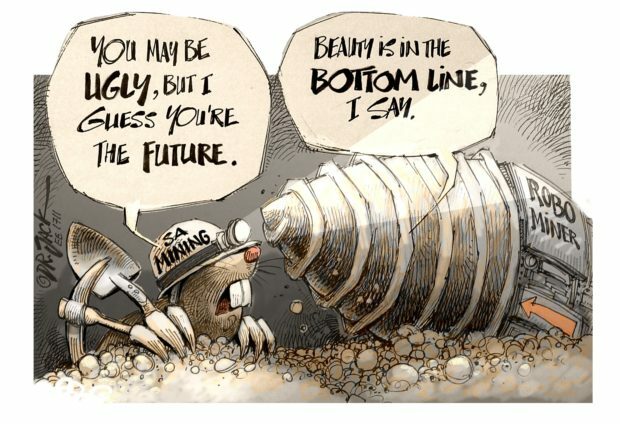 The status of the project and location of every machine on-site can be updated in real-time, giving site managers a full overview of progress. Machine control applications are among the most challenging for GPS receivers. The physical and radio environments can be difficult enough, but operators will always try to push their equipment to its limits. So what should a GPS receiver be capable of to be considered a suitable candidate for machine control? In RTK mode, using a base station that is not too far away, high-end GPS receivers can calculate position with less than 1 cm precision. Difficult conditions can degrade the position precision and can even result in wrong position fixes. Construction sites present their own set of challenges. Large structures and other machines nearby can cause multipath, foliage can be particularly problematic for GPS signal quality and you cannot always be assured of a clear view of the sky. Any GPS receiver worth its salt should be able to cope with the typical conditions on a building site. The consequences of a wrong position fix can be costly and time consuming. 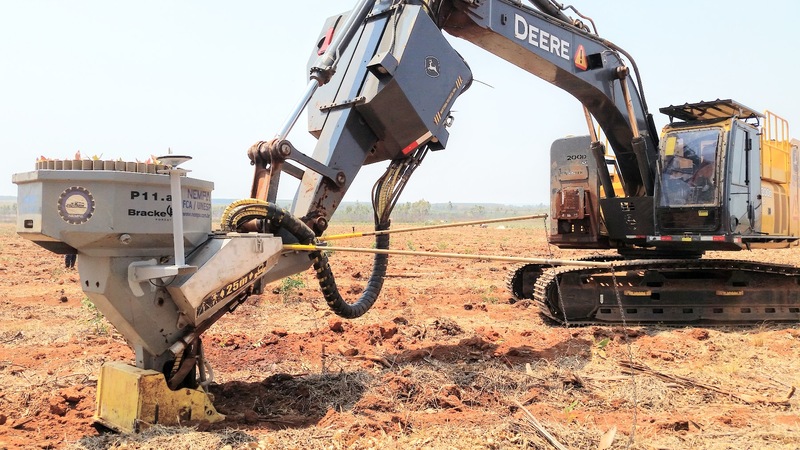 In the case of piling rigs, the operator has to know the exact position and orientation of the rig when planting a pile because there are far better ways to spend your time than having to extract wrongly-placed piles. Fig. 1: An AsteRx4 GPS receiver at work helping plant trees. Latency is the time taken for the receiver to calculate and output a position. Lower latencies and higher position update rates mean that machines are more responsive and can be operated at higher speeds without loss of performance. The highest performing GPS receivers today can output data at upwards of 50 Hz with latencies of less than 20 ms. Fig. 2: When receiver latency is higher, the control system is less responsive, which in this case produced waves on the surface. Fig. 3: The AsteRx-U spectrum analyser in the presence of a chirp jammer both before (blue) and after (red) activation of AIM+. It takes just one delivery vehicle arriving on-site with a chirp jammer to knock out RTK over the entire site and bring operations to a standstill. The increasing prevalence of such devices, as well as interference from other non-intentional sources, make interference mitigation an essential tool for a machine control receiver. 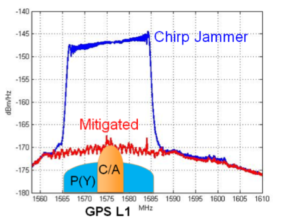 The highest performing GPS receivers today are able to mitigate against not only simple continuous narrowband and pulsed interferers but also against more complex wideband transmitters such as chirp jammers and other personal privacy devices. Fig. 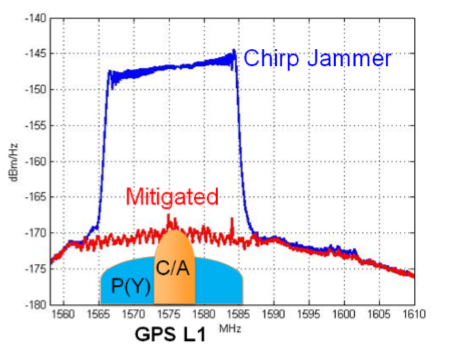 3 gives an example of interference mitigation of a chirp jammer in action. Machines such as excavators have a platform that can be rotated independently of the undercarriage. To know the position of the bucket, the orientation (or heading) of the platform must also be known. With two antennas, as shown in the excavator installation in Fig. 4, the GPS receiver can calculate the heading of the platform as well as either the pitch or the roll, depending on how the antennas are placed. Rough terrain can play havoc with GPS signal tracking. Without an adaptive-bandwidth tracking-loop mechanism, the receiver may lose tracking during periods of heavy vibration. Fig. 5: The calculated antenna height with (blue) and without (green) ionospheric scintillations mitigation (IONO+) activated. Solar-activity has decreased since the last y peak in 2014, but ionospheric disturbance of GPS signals can still be problematic around the equator and at higher latitudes. To make sure that the output from your GPS system does not suddenly become unpredictable or that you lose RTK positioning altogether. 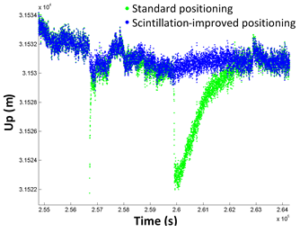 Some kind of ionospheric scintillation mitigation feature, such as that demonstrated in Fig. 5, is certainly desirable. GPS receivers have found their place in a wide variety of applications from seismic monitoring to timing and on-board dredgers and drones, wherever high-precision positioning or timing is needed. However, it remains important to select the most suitable and capable GPS receiver based on the environment, application and other considerations such as those mentioned here. This article is republished with the kind permission of Septentrio. The original article can be read at https://bit.ly/2uAggxx.